Photo of: North of Ireland: Donegal: Ardara. 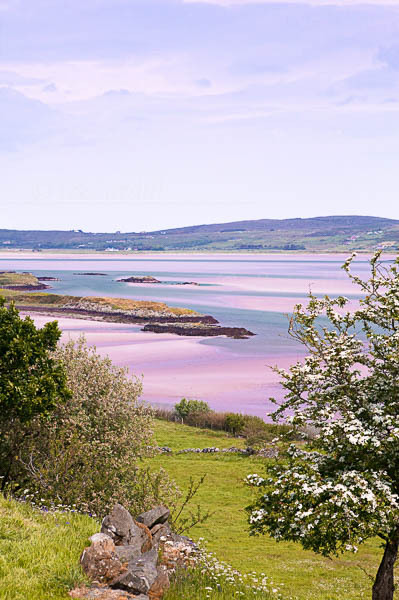 A view of the inlet at Loughros More Bay in May with the Hawthorn in bloom. The colors of the sand and water are extraordinary.